Malian singer Salif Keita is often referred to as the "Golden Voice of Africa". As an albino he was ostracised by his family and community, and left his village to move to the capital city of Mali - Bamako, in the late 1960s where he joined the Super Rail Band and then Les Ambassadeurs before leaving the country in the mid 1970s during the country's political unrest. Now he is based in Paris and Bamako and is a major star of African music. I have to be honest and admit that while I've listened to a lot of music genres over the years, I've never really paid any attention to African music - like many people the closest I've got to African music is Paul Simon's graceland, or some Ladysmith black mambazo. Despite this I was familiar with the name of Salif Keita - I just hadn't heard anything by him. As you'd expect, there's a strong African feel to the music and vocals. The lyrics are all sung in French - Mali being a former French colony, still has French as the official language. There are several guest stars - Roots Manuva, Bobby McFerrin, Esperanza Spalding and Manu Dibango. What struck me most with this album was the sheer variety of music here - there really is a whole range of different sounds here, and all sound great. The use of various traditional instruments alongside the usual guitar, drums and bass really does change the whole sound and feeling of the music. Not speaking more than a tiny bit of French I can't really comment on the lyrics, but what I can say is that the vocals sound great - it's easy to see why he's referred to as the golden voice of Africa. 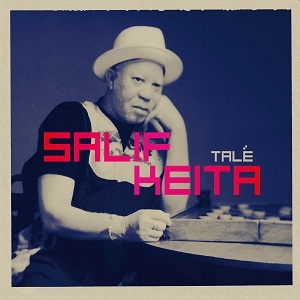 It's easy to see why Salif Keita is such a big star - this really is a great album, and if you've never tried listening to any African music then you really should try listening to some, and this album is a great starting point.